Dragseidet is the westernmost of three ridges over the Stad peninsula. At this point, the peninsula is about 5 km wide and the valley over the ridge is one of the oldest thoroughfares in the county. The name is said to come from the fact that boats were dragged or transported over the ridge when the weather was too rough to round the headland at Stad by boat. It was more usual to travel up the valley and over the ridge, picking up a boat at Leikanger on the other side of the peninsula. At the highest point, Kongshaugen, stands a stone memorial. 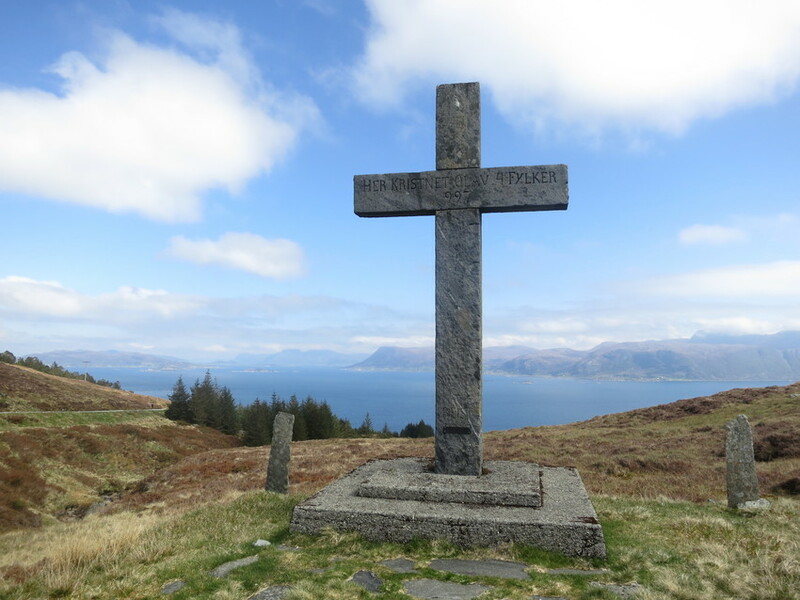 Farther north stands a stone cross erected in 1913 in memory of the arrival of Christianity in Norway. According to the saga by Snorre Sturlason, in 997 Olav Tryggvason is said to have assembled the leaders of four counties at Dragseidet. They were asked to accept Christianity. A thousand years later the area plays host to an open-air historical pageant known as Dragespelet that retells this tale.